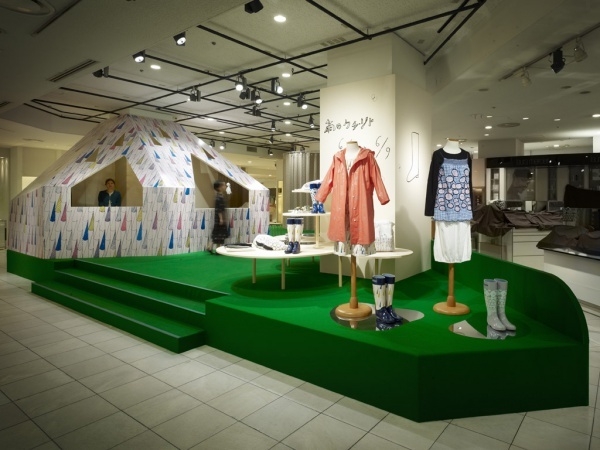 "Rainwear In / Rainwear Out "
Building site: ISETAN SHINJUKU 1F "The Stage"
This is mina perhonen’s third temporary installation to be held at The Stage, located on the 1st floor of the Isetan department store in Shinjuku. 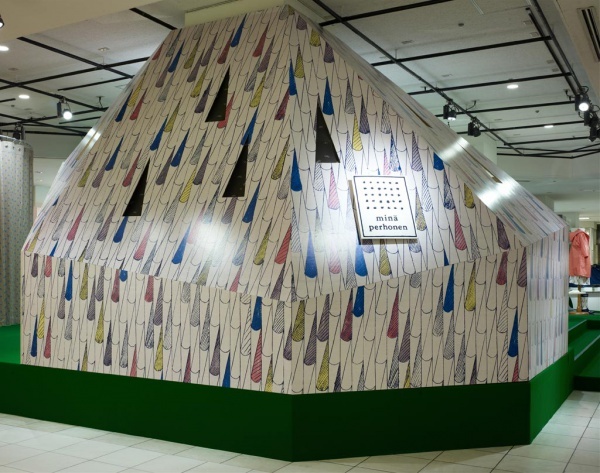 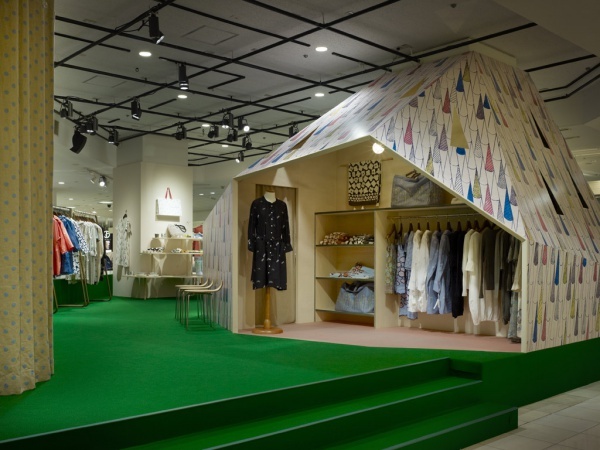 This year’s theme, “Rainwear In / Rainwear Out”, revolves around a booth shaped like a house to highlight the “inside” and “outside” experience of a rainy day. 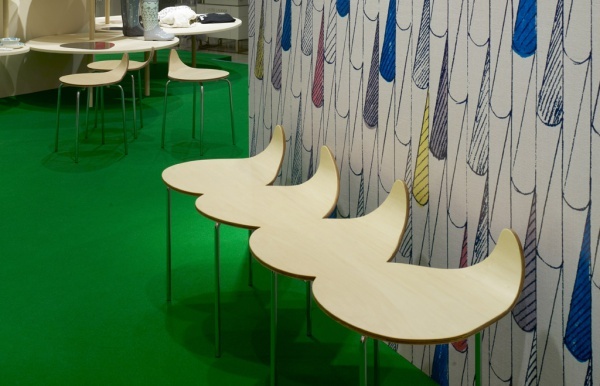 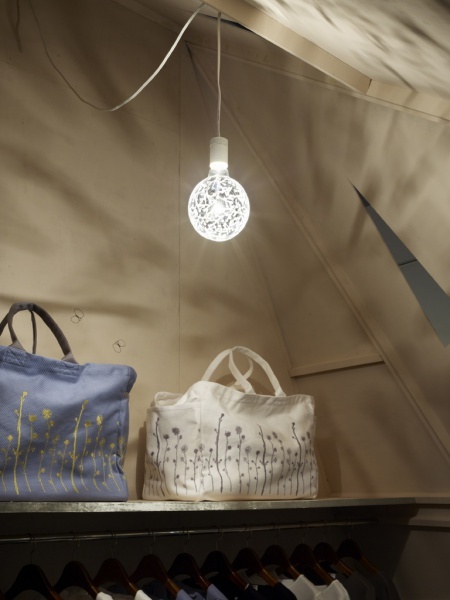 The booth’s walls prominently feature mina perhonen’s “sunny rain” textile pattern while chairs shaped like rain drops and mirrors shaped like puddles complete the picture for a fun day in the rain.